A great example of this was demonstrated by AAA Carolinas—in partnership with Placeable—which was illuminated at the recent BIA/Kelsey Leading in Local Conference in Atlanta. With more than 1,200 authoritative local landing pages, AAA Carolinas experienced a meteoric 815% increase in organic search traffic that subsequently resulted in 35,000 new monthly visitors who convert at over 25%. During the presentation, Heather McBrien, Digital Marketing Manager at AAA Carolinas, explained that one extremely valuable part of the Placeable campaigns is that they generate leads that include far more qualified prospects as opposed to the “tire kickers” that they used to generate prior to the highly targeted local search campaigns. Placeable Data Lab announced in Q1 of this year that over 70% of consumers surveyed indicated that they research and confirm location information before leaving the desktop. That means that they are researching what they are looking for and where they will find it before they get out of the chair. That also means that, despite the huge attention given to mobile and mobile search, mobile devices are still primarily used for navigation. That would explain Google research, which notes that over 50% of mobile-local searches lead to a conversion within an hour. 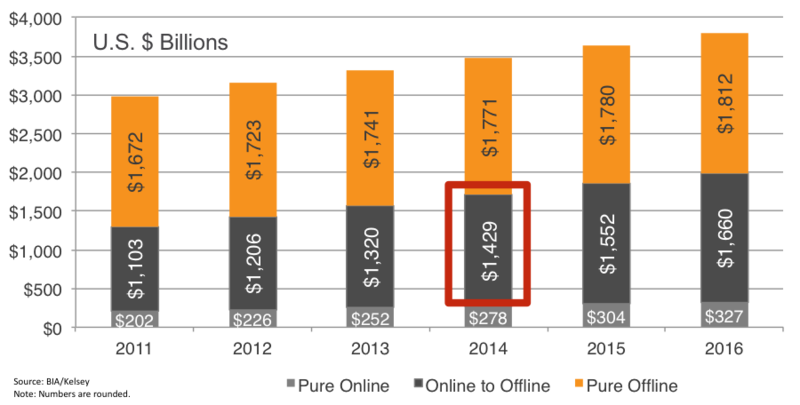 The convergence of U.S. offline and online shopping continues to increase. BIA/Kelsey has identified the strong correlation between these two activities and predicted that it will only strengthen. For some time now, our market has been acknowledging that enterprise advertiser data is dirty. In fact nearly 20% of this information has some errors that impact the ability of a consumer to find their locations on a map. Moreover, when comparing the primary mapping web sites, the degree of disparity between results is dramatic. Placeable has been focused on examining this problem and has been helping enterprise advertisers address it head-on. When a reported 73% of consumers lose trust in a brand when they find inaccurate location information, enterprise marketers see dirty data as a significant concern. Getting local search right is first and foremost about dominating the local results page. Large enterprise advertisers with many physical locations have the ability to capture a dominant position on the search engine results page (SERP) of the major search engines. Dominant position does not mean just one or two links. At Placeable, customers seek to “roadblock” the page by capturing the majority or all of the organic results on page 1 and perhaps even 2 and 3. Each location, when properly optimized, ranks for a geo-modified, localized search. Properly optimized information will also capture the lion’s share of the map stack. Well-coordinated paid search media will coincide with the organic success and full-page dominance—and maximum click-through success can be accomplished. This process starts with accurate location data. The accuracy of location information is the responsibility of the advertiser. Nobody is better informed about where locations are situated and the details pertaining to those locations than the owner. And when that information is accurate and kept current, Google and the rest of the search engines will promote it. Authoritative local landing pages are the most important strategy for capturing and converting customers via local search marketing. When discussing local search with customers, Placeable is quick to address the difference between driving customers to the marketer’s web site or a third-party directory. The strategies for each are inherently different. Some advertisers are still focused on optimizing their positions on the dominant directories and want to drive their primary results through those properties. 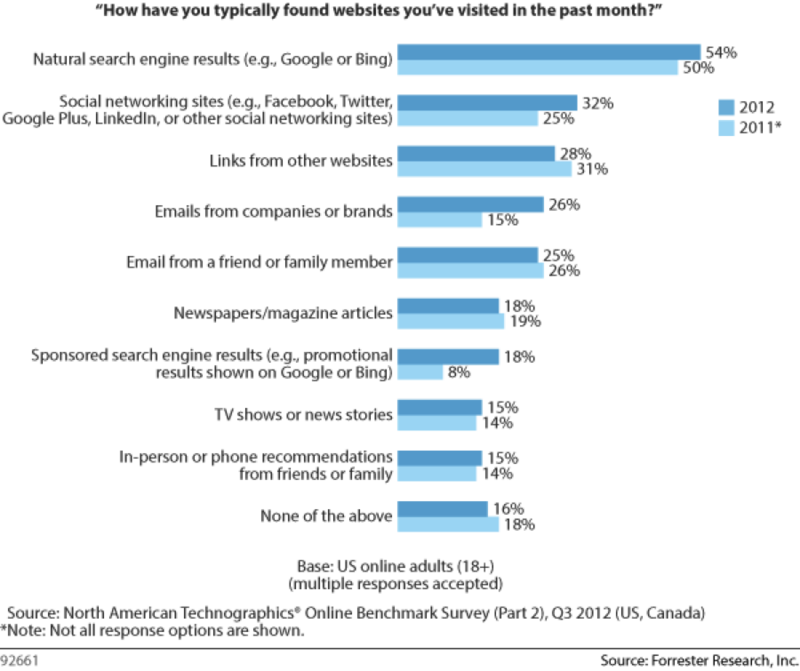 Other, more progressive, enterprise advertisers have evolved to recognize that capturing leads directly (1) increases the quality of leads, (2) increases the volume of leads, (3) increases conversion rates, (4) increases brand exposure via natural search, and (4) decreases the visibility of competitive ads in proximity to their own brand and location information on directories. Distribution of location content does have its place in local search marketing. 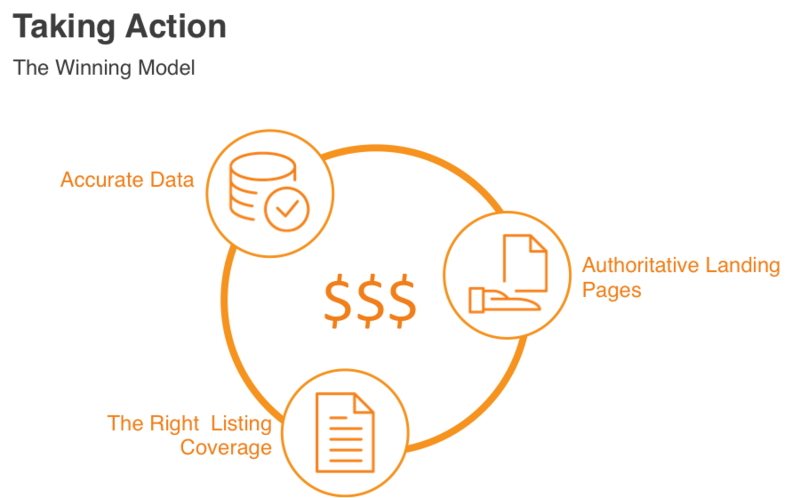 When data continuity is managed for location information between established local landing pages and the greater ecosystem, marketers build supporting evidence to the authority of their local pages, which helps support greater performance for those pages. Distributing information to “The Big Five” (Google, Yahoo, Facebook, Foursquare and Bing) is a must. Including some additional tier-one directories is also valuable and may be easily accomplished through aggregators like Localeze, Infogroup and Acxiom. That is why Placeable offers its customers the Pass, which enables them to push their location content out to various properties that include The Big Five and the aggregators. Many marketers aren’t directly engaged in updating maps—their own or otherwise. That has to change. It’s no longer effective to simply track customers while being oblivious to the quality of the customer web experience. Location is a major part of the customer story and in the same way you use CRM platforms to manage profiles of people you need to expand your use of location platforms to understand the context of the customer. Brand presence on popular consumer mapping web sites like Google and Foursquare must be managed according to today’s consumers’ reliance on mobile technologies for navigation. Marketers have to assume responsibility for the accuracy and comprehensiveness of the information that consumers access via those web sites. It is essential that you invest in analyzing your existing location data. You must ensure that your local landing pages are optimized for both desktop and mobile search. And your content must be optimized for natural and paid results. Improving the accuracy of location data reduces the number of lost visits and the erosion of brand loyalty. When enterprise marketers actively improve the accuracy of their location information, keep it current and optimize its visibility, the results include more traffic to their pages and more leads and more store visits. All of this translates into more online and in-store conversions and revenue—in addition to greater brand equity. Promoting authoritative local pages that dominate search results delivers customers. When local pages are promoted properly, and optimized for organic and map results, they will be recognized as the page of record and receive optimal exposure. Search results will increase, website visits increase, online conversions increase and in-store visits increase. All of this leads to increased conversions and revenue. As mentioned, distribution of location information as a supplement to the local landing page strategy is meaningful. It is imperative, however, that the ecosystem not out-compete the local pages. The ecosystem should not be empowered with deeper content nor should it be provided with broad continuity on too grand a scale. Locking down too many directories, for example, can divert attention away from your own local pages and decrease your performance—further driving your traffic to the directory pages. Since directories make their money by selling advertising against the brand and location content, this is not in your best interest. So while distributing data to The Big Five, additional distribution to aggregators is more than enough and does not act to out-compete you. To recap, the winning model for local search marketing is three-fold. First enterprise advertisers should engage location tools that will enable them to establish and maintain accurate location information. With that information they should power local landing pages that are specifically developed and optimized for local search results. And they should strategically distribute local information to the ecosystem to establish continuity and support to their local pages without overemphasizing the ecosystem and competing with themselves. weblog posts. In any case I will be subscribing in your feed and I’m hoping you write once more very soon!